We are first and foremost software engineers with many years of experience in object oriented software engineeringin a variety of platforms. We believe in good design and programming principles beyond any particular language or platform. Our software skills have been sharpened developing enterprise applications in language such C++ and Java prior to specializing in web development. We have expertise in software design an architectural principles and many years of experience using modern development practices such as Agile Development principles, Design Patterns, Test Driven Development, and iterative life-cycle process planning, to name a few. 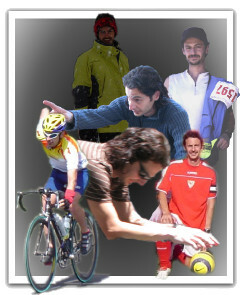 Hi, I am Pablo Calderon, founder and lead engineer of PCR Web Design. With more than fifteen years of software development I am accustomed to wearing many hats. I love to ride and run in the beautiful Colorado mountains. Until very recently I was racing road bikes and long endurance duathlons. And I still enjoy playing soccer just like when I was a kid. Something I hope will last forever! Ruby on Rails has become our platform of choice to build functional web applications in a competitive fashion. Ruby on Rails has turned into an excellent platform for hosting a large variety of web applications, and is now capable of hosting Enterprise Applications as well as the de facto enterprise languages. By using Ruby on Rails we dramatically increase productivity compared to other solutions. We reduce development time and code while increasing readability and object orientation, which results in greater maintainability, a real advantage to all our customers relative to their competition. We have fundamental experience in advanced Rails features, designing architecture for scalability and management of application and organizational complexity. We focus on aligning software strategy with business objectives in order to produce web solutions that truly enhance our client business productivity and give them strategic advantage.